This is an optical illusion. It was inspired by a vertical linear array of curved black and white lines in a picture created by the "op" artist Bridget Riley. "Why not", the thought came, "adapt this to a radial format?" 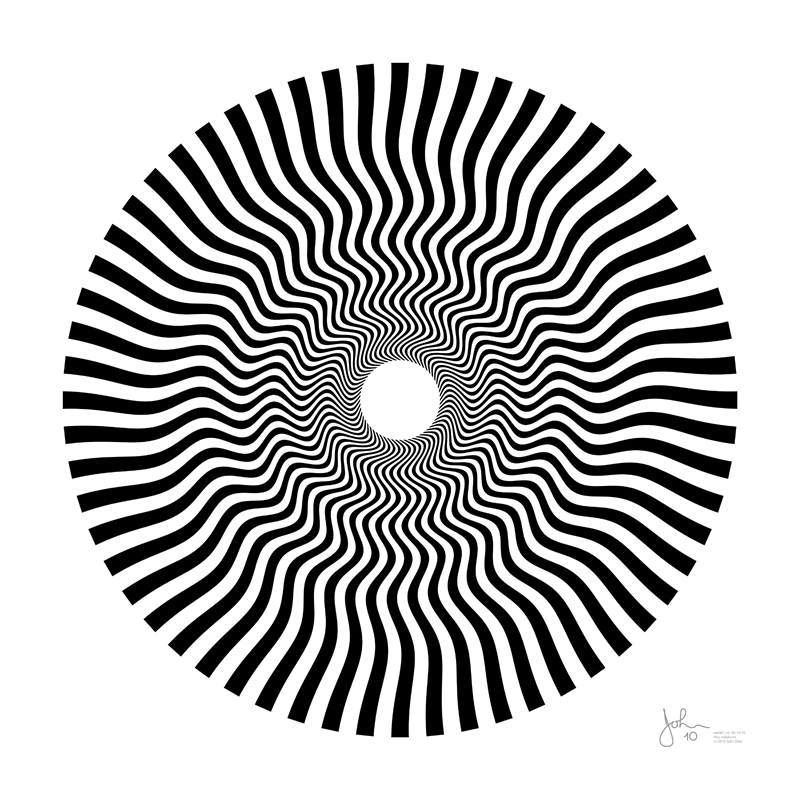 Since the eye is axi-symmetric, wouldn't a radially-symmetric pattern have more impact? Focus your eyes on the center of the pattern and bob your head toward and away from the screen. Does the pattern appear to move and shimmer? Depending on how far your eyes are from the image, different parts appear to move. The explanation of this lies in how vision occurs in the eyes and in the brain. An explanation can be found in Margaret Livingstone's recent book on vision and art.